Spending the night at the beautiful old stone Fingerboard Shelter. 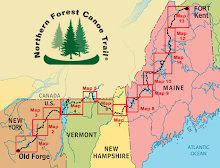 It is located exactly 800 miles from the start of trail in Maine. Two young hikers were there and mentioned that there were few mosquitoes. So, instead of staying in my tent, decided to use the shelter. At dusk, noticed a bat flying out of the shelter. Bats eat mosquitoes but are less common now because a white fungus has been killing them. Later that night, the bat flew back in and could be heard and felt flying back in forth above us in the shelter all night long - eating mosquitoes. As first light approached, the bat stopped working and the mosquitoes attacked - wake up call!